At Porch Outfitters, we ensure each and every project we take on is completed according to our high standards for quality workmanship by employing our own trained and experienced roofers. This also allows us to provide and unbeatable lifetime labor warranty. We install asphalt shingles from GAF, which is one of the most popular roofing manufacturers in the industry for good reason. The shingles we install have features that ensure your home’s beauty and protection against the elements is preserved year after year. For example, GAF roofing has Advanced Protection® technology, resulting in outstanding granule adhesion, toughness, and flexibility, StainGuard Protection® to prevent ugly algae growth, and other advanced features. From consultation to completion, Porch Outfitters is committed to earning our customers’ satisfaction. 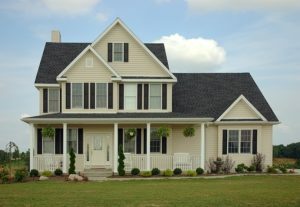 We’ll work with you to ensure you get the roofing style that works best with your specific needs and budget. You can also expect our roofers to be courteous and professional throughout the process and leave a clean jobsite when the project is complete. Learn more about the advantages of choosing Porch Outfitters over other roofing companies serving Savannah, GA, by contacting us today.